As a one stop, linguistic cultural services company with a focus on three main areas, interpreting (oral), translations (written), short and extended trainings. Founded in 1996 by Zarita Araújo-Lane, LICSW, CCCS, Inc.™ is a recognized authority in linguistic cultural services, working with health care, educational, legal and business institutions nationwide. The CCCS, Inc.™ approach is holistic and humanistic; we meet your organization”s needs with cultural sensitivity and effective communication strategies. With a focus on medical, legal and mental health interpreter training, our goal is to enhance communication between organizations and their cross cultural customers, including non-English speakers and Limited English Proficient (LEP) individuals. 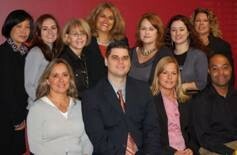 CCCS, Inc.™ has a loyal and dedicated team of caring professionals of which many are bilingual and multicultural. As a group, we have received the necessary training so that we are knowledgeable regarding the LEP’s needs and the industry’s standards on accurate and effective communication. Below are some of the non-profit organizations that CCCS, Inc.™ has decided to support because of their efforts to empower the LEP population. It takes a team to build a future! Please use our contact form to reach us or we may also be contacted by phone at 781.497.5066 or 1.888.678.2227 (out of state). We look forward to hearing from you and to the challenge of meeting your particular needs. CCCS, Inc.™ is a WBE/PBE & DBE certified PRF63 vendor in Massachusetts, MWBE/WBE & DBE vendor in New Hampshire and Rhode Island CCCS, Inc.™ interpreter policies and guidelines are in harmony with current IMIA, NCIHC and CHIA Standards of Practice.